You’d think all big pickups are pretty much alike. First, their grilles are massive, their stance is tall and imposing, their engines are mostly V8s and they’ll all haul a honkin’ big load. That’s true, but the devil is in the details and there are a lot of details because there are soooo many variations of every pickup. 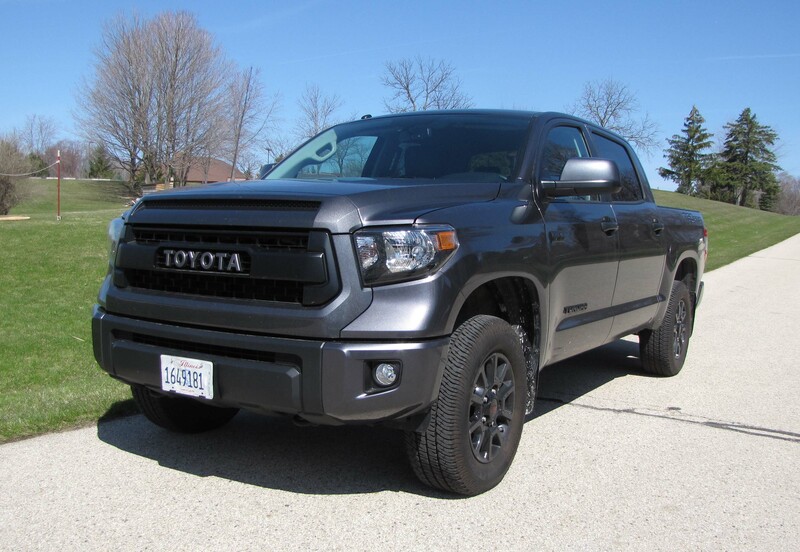 Toyota’s Tundra TRD Pro Crewmax, this week’s test drive, is all of the above, but it falls short on some rather important details. First, it won’t tow as much as some of the other pickups. It’s rated to pull 10,500 lbs., which is considerable, but the Chevy Silverado and GMC Sierra and Nissan Titan will pull 12,000 lbs., and Ford’s F-150 about 200 lbs. more than that. 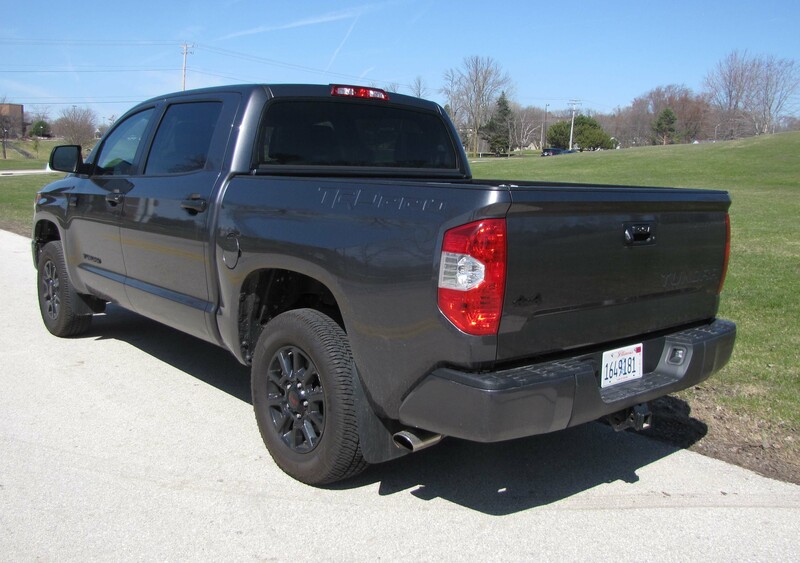 Second, Tundra doesn’t even offer a diesel engine, while the Ram and Titan both do. Incidentally, the diesels also get much better fuel economy. Third, Tundra’s fuel economy is poor. The test truck was rated 13 mpg city and 17 mpg highway. Compare that with the very similar GMC Sierra I tested recently, which was rated 15 mpg city and 21 mpg highway. 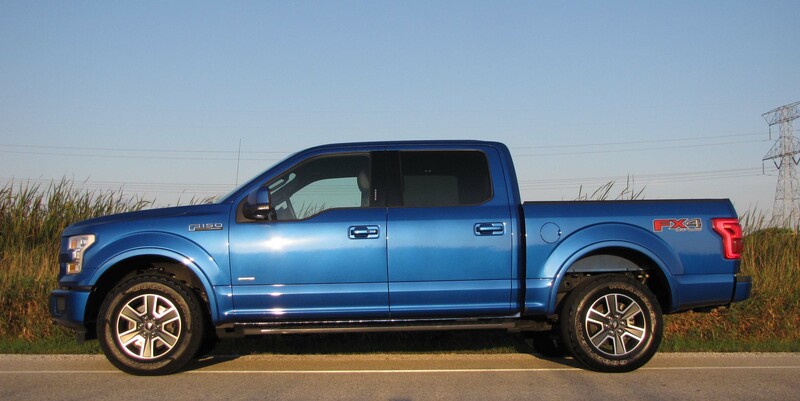 Ford’s top-selling F-150, which cut 700 lbs. by going to an aluminum body, is rated higher yet. GMC is the Cadillac of pickups, juicing up the chrome levels on the exterior and adding a bit more finery to the interior, compared to its kissin’ cousin, the Chevrolet Silverado. Make no mistake, both trucks can be equipped and decked out much like any fine luxury sedan, but GMC’s Sierra has always held sway with more glitz and glamour, such as it is on pickups. 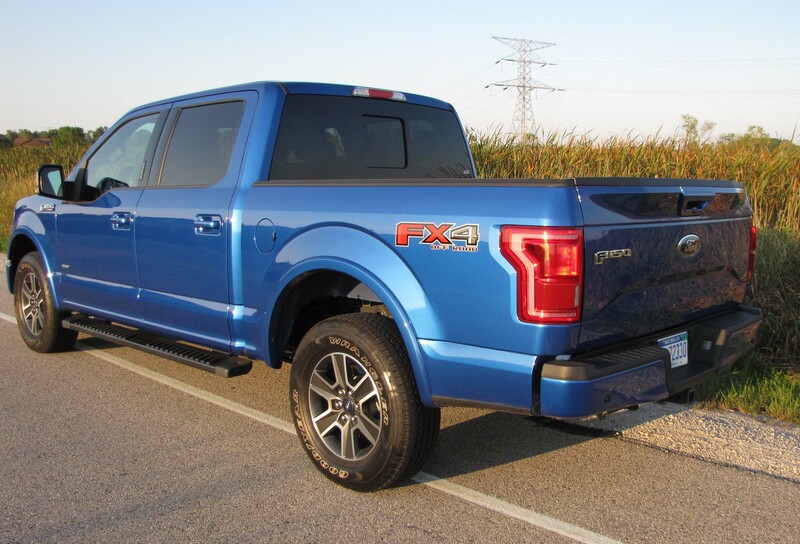 So the new 2014 pickup touts a mighty chrome grille that challenges the likes of the Ram pickup in size and look-at-me swagger. Likewise the Sierra is quiet and comfy inside and the tested Crew Cab SLT, just one level down from the line-topping Denali, ladles on plenty of luxury touches, starting with a comfy leather interior and then adding perks like a heated steering wheel ($400) that comes packaged with a power sliding rear window that opens in back by the pickup’s bed. This is the long-bed model with a 6 ½-foot bed as opposed to the shorter 5 ¾-foot bed. There are footholds in the rear bumper too so you can step up to load the bed, if you’re using the pickup like the truck it is. Since this is the 4-wheel-drive model, the difference is about $400, the tested dark metallic gray truck starting at $43,610. Luxury doesn’t come cheap. In fact this one adds heated and cooled front seats for $650, the leather seats for $325 and three other packages with such items as front and rear park assist, a lane departure warning system, forward collision alert and vibrating safety alert seat, plus an 8-inch color touch screen with navigation system. In total the options here add up to $5,440, but a value discount cuts $1,000 off the price.